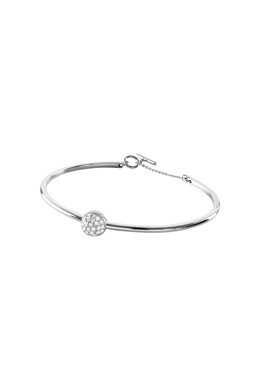 Our exclusive Sterling Silver Collection: Thin and elegant bracelet in polished Sterling silver with a sparkling centerpiece decorated with white cubic zirconia crystals. 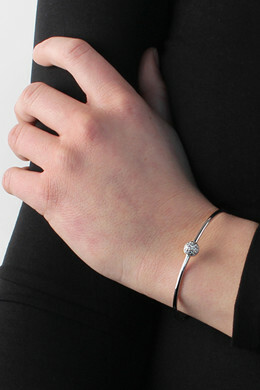 The bracelet is perfect when worn alone with an evening dress or combined with other slim bracelets for a relaxed look. With toggle closure.